Drop that sugar-filled cereal bowl and stick with this healthy and delicious breakfast. 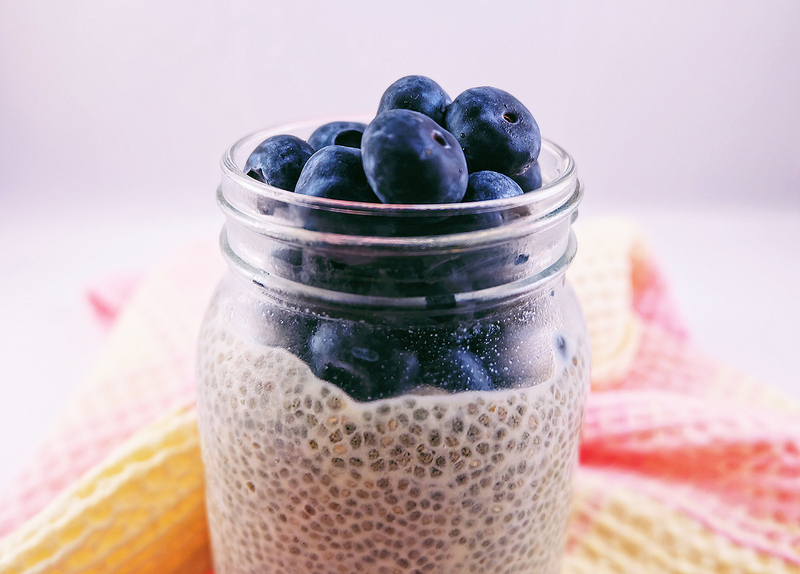 Here's a basic Chia Pudding recipe that you can pull together in minutes packed with enough protein and nutrients to keep your energy in a considerable level. Let me start off with some nutritional facts about chia seeds. Chia seeds are considered as superfood with health benefits that include antioxidants, protein, calcium and the highest level of omega-3. Yes, more than your average salmon! Most famous claim is that chia seeds can help with weight loss and reduce cravings since this wonderfood is loaded with fiber to help your body feel satiated. Be reminded that not all food will work for everyone. You should consult with your nutritionist first to get the most out of your diet. 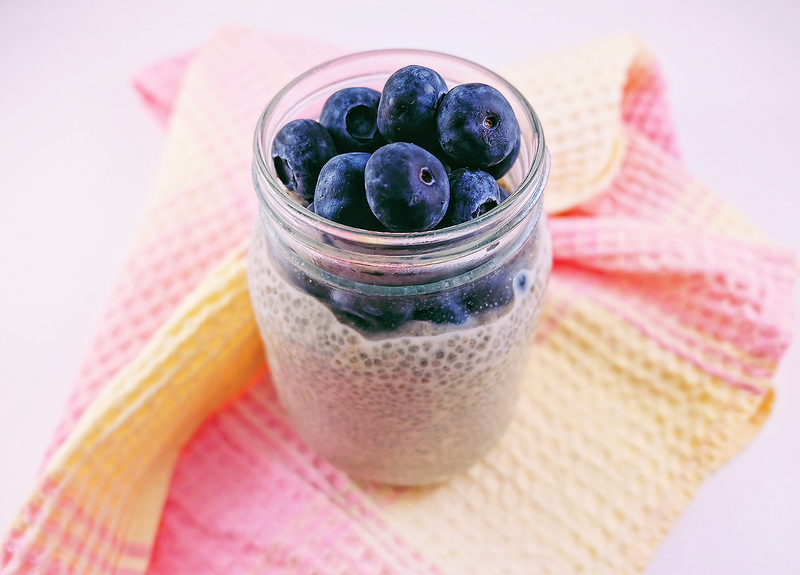 Mix chia seeds, almond milk and maple syrup together in a small mason jar or bowl. Let it set in the refrigerator for about 8 hours or overnight until chia seeds expand. Remove it from the fridge and make sure your pudding looks thick. Top with fresh fruits or toasted sliced almonds. Blueberries are my personal favorites.